Coffee is a wonderful thing, I think we can all agree–especially on crisp mornings in the back country! Unfortunately, when you’re out in the wild, there is no Nespresso or a Starbucks for miles around. (Isn’t that why you came, to get away from civilization?) But fear not, fellow coffee lovers, it is possible to make a good cup of coffee out there. 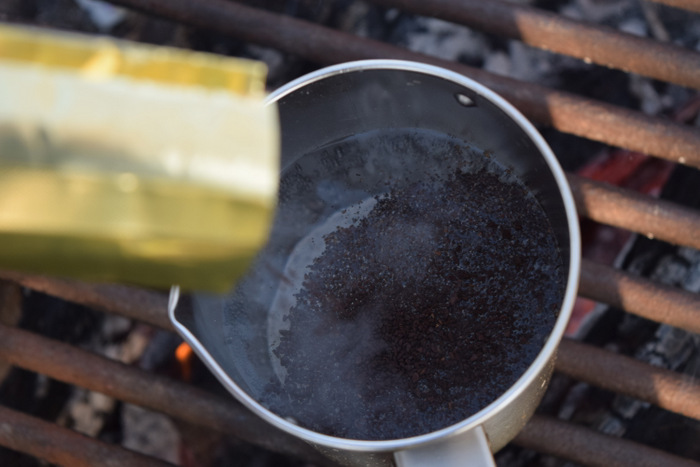 Here’s my quick guide to making Starbucks quality coffee in the wilderness. 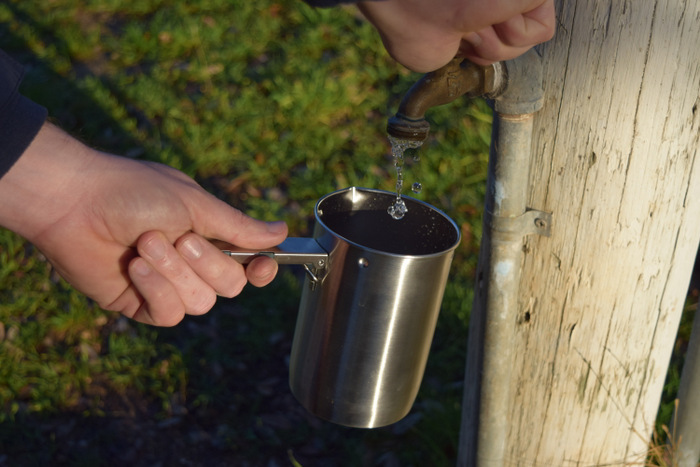 You will need a camp stove to heat the water. 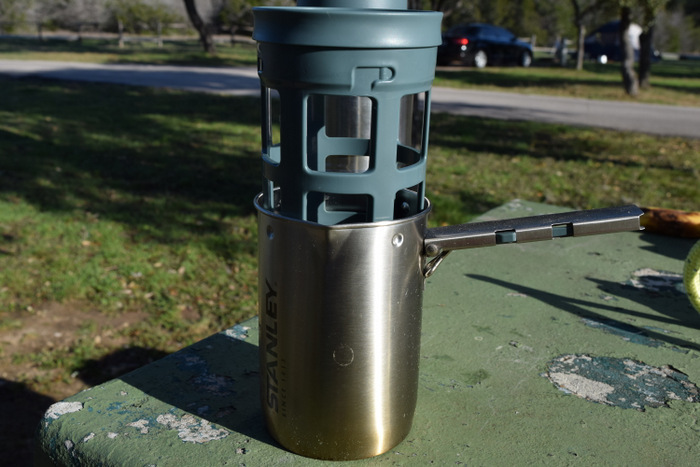 Camp stoves are lit by propane gas, and you can buy new canisters at REI and Academy whenever you run out. This can be used to cook not only coffee but a number of different meals and is light enough to be taken backpacking. We have this and like it. It is perfect for car camping and you can cook with a skillet on this. However, you wouldn’t want to take it backpacking because it’s big and bulky. Unless you’re using Starbucks Via, then you only need a mug. The small stove listed first already comes with a mug and French press system. How handy! 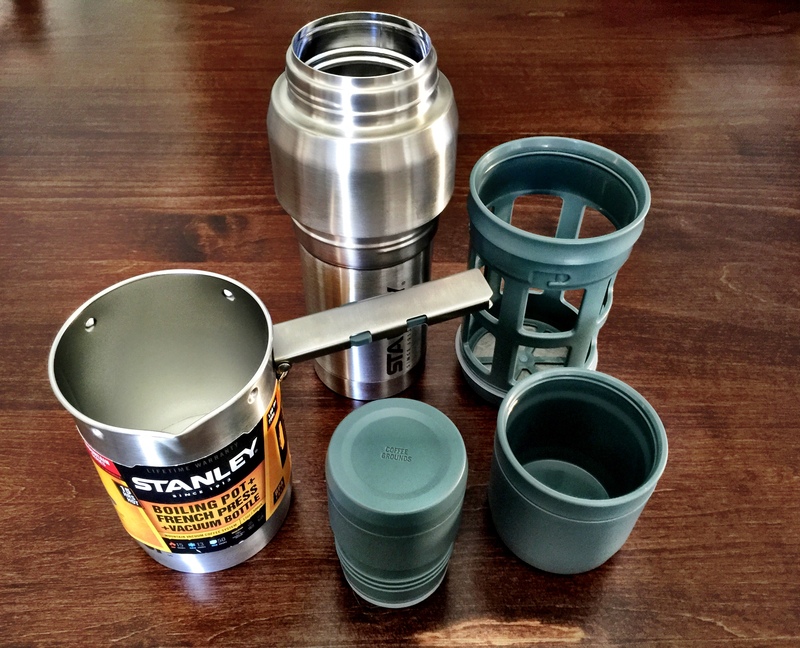 However, the second stove mentioned above does not and so you’ll definitely need this thermos system from Stanley. For longer trips into the backcountry, take powdered creamer or the small Mini Moo’s that come in little plastic containers. A TOTAL luxury so not for backcountry camping, but perfect for car camping! This only weighs 8 ounces so perfect for outdoor travel. Fill the canister up with water. Heat it over the stove. Once it reaches the boiling point (or just before), pour in the coffee grinds. If using real coffee grounds, pop the French press filter on and let steep for 5-7 minutes. If using Via, pour in your packet and you are done! 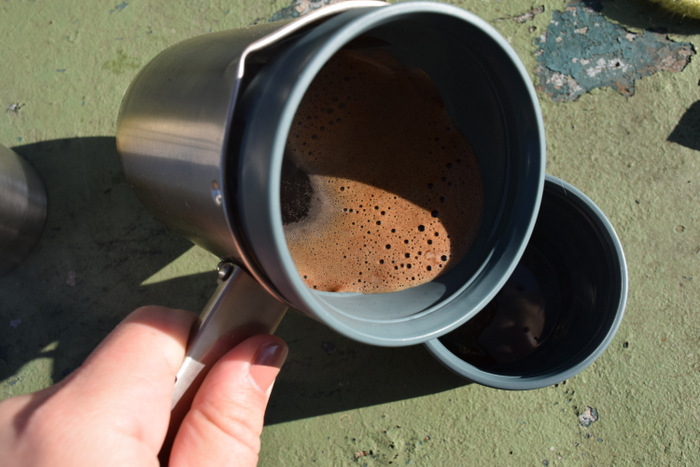 Push the French Press filter down into the canister (small stove mentioned above functions the same way) and pour the coffee out into a mug. Stir in milk or creamer. May you have many happy mornings in the out of doors. And may you be awake enough to fully appreciate them. 1 Reply to "How to Make Starbucks Quality Coffee in the Great Outdoors"
Also definitely “cool” ! Interesting!